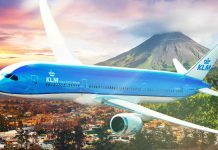 Home Travel The Dinosaurs Have Returned to Costa Rica! 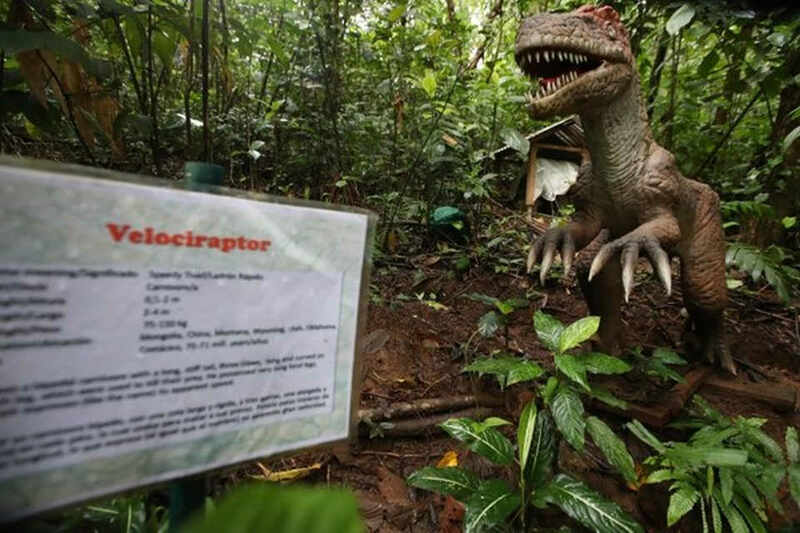 Beware of the Dinosaurs of Rincon de la Vieja! We heard their roars at several hundred meters away; little by little were getting closer to him, we know he is there but we do not see him yet. We are nervous, but also enthusiastic. 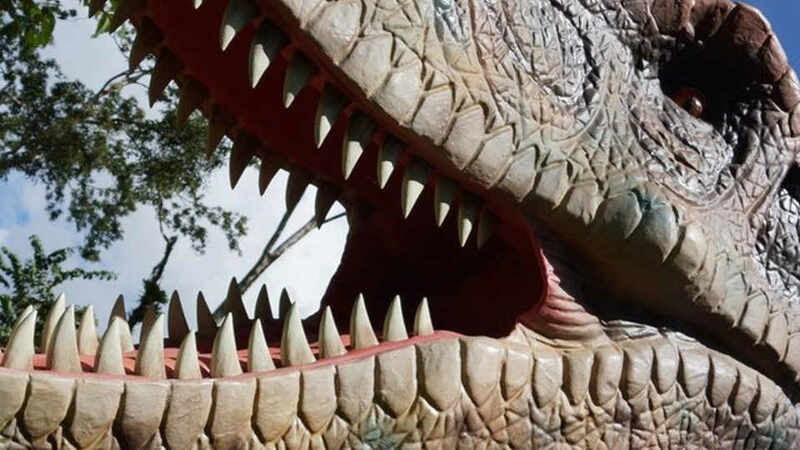 We must be careful because we are hikers in the middle of the tropical rainforest of Guanacaste and it is very possible that we will come face to face with the impressive Tyrannosaurus Rex (Ttiranosaurio Rex in Spanish). We saw it! It was in front of us with its sharp teeth, almost four meters of height, 13 in length and weighing 6,000 kilos. Roaring loudly, telling everyone that it is the king of the Jurassic era, that it commands and that it is a carnivore that is very hungry. But calmly, we continued the expedition unharmed. We did not run any kind of risk and we could even take pictures and videos of the famous T-rex that lives in the Dinopark of the Blue River hotel, located in Liberia. That is the story of Jessica Rojas in La Nacion of her experience in the land of Dinosaurs, just as imagined by the producers of Jurassic Park, the movie. 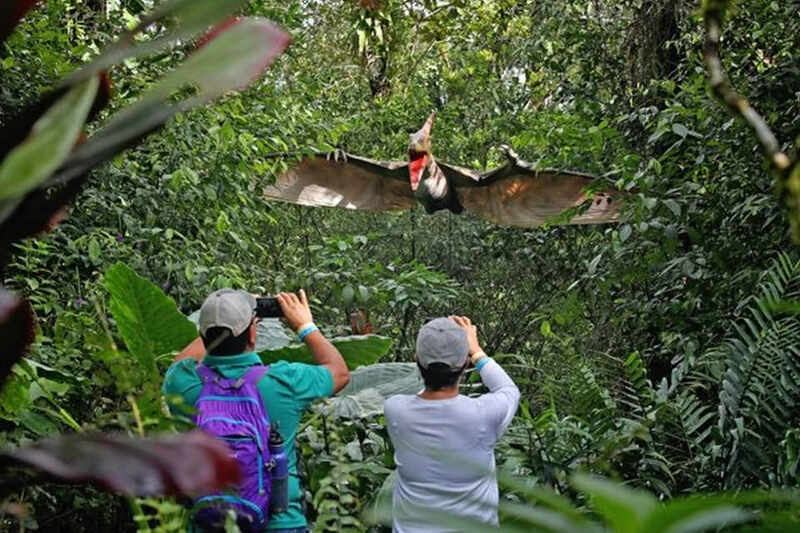 Life-Size, animatronic creatures living in the Costa Rica rain forest. You’ll find them here, along the north side of the majestic volcano Rincon de la Vieja by a gorgeous blue river. “It is not difficult to find them,” writes Jessica, “just follow a path in the middle of the vegetation to discover them and on the way enjoy the delicious climate of the area that combines the elements of the Caribbean with the characteristics peacefulness of the Guanacaste area”. Motion sensors activate the dinos as one approaches. 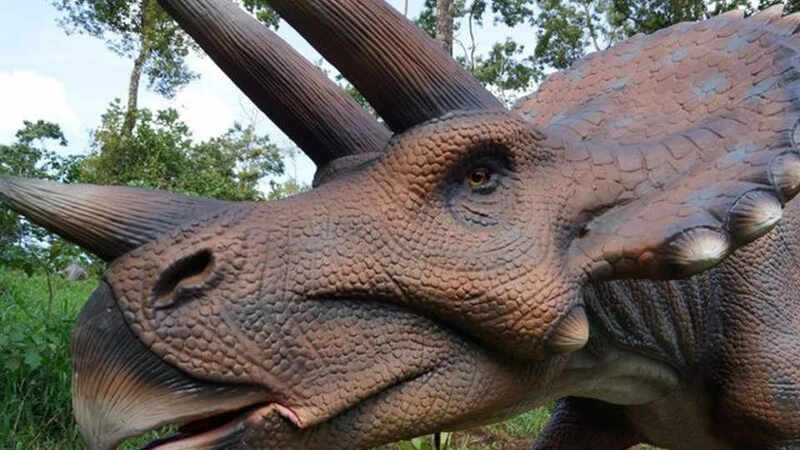 It takes about an hour to move through the 1.2 kilometer trail with dinos at different points, never knowing when you will come face-to-face the giant creatures that, we can imagine, once roamed this part of the country we now called Guanacaste. 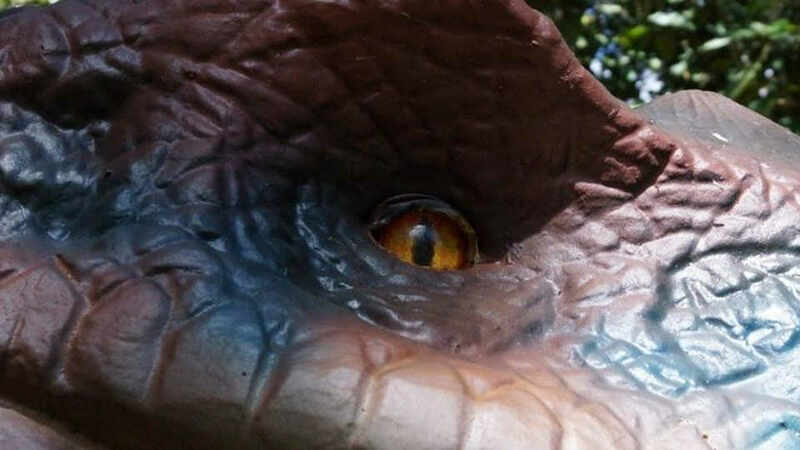 The Dino Park in Costa Rica is an experience the kids and the whole family will never forget. For more information visit Blueriverresort.com. No promotional consideration was given for this report. Previous articleThe Word is Out in Alajuela!